Trumpcare is already on life support. It might even be DOA. Speaker of the House Paul Ryan answers questions following a meeting of the House Republican caucus on Wednesday. On Monday, House Republicans unveiled the American Health Care Act, their bid to “repeal and replace” the health law widely known as Obamacare. Crafted on the shortest possible timetable, the AHCA is a rush job, a haphazard attempt to roll back the reforms of the previous administration. Except, it doesn’t quite get all the way there. To wit, the GOP’s replacement retains the basic structure of the Affordable Care Act with a scaled-back Medicaid expansion (in place until 2020) and exchanges for those on the private market. The major change is this: With the ACA, Democrats aimed for getting as close to universal coverage as possible, taxing high-earners to provide insurance for low-earners either through Medicaid or through heavily-subsidized markets. With the AHCA, Republicans have done the reverse, slashing coverage for the poor to cut taxes for the rich. This reverse Robin Hood scheme will harm millions of Americans—including the older white voters who backed Donald Trump and the GOP congressional majority—with little benefit to anyone outside a small group of wealthy Americans. And if the reaction of the past few days is any indication, the American Health Care Act is already dead on arrival, or at least hanging on life support. As its first order of business, the AHCA repeals most of the levies used to pay for insurance coverage under Obamacare at a cost of nearly $600 billion over the next 10 years. Slate’s Jordan Weissmann notes “nearly half of that expense would be due to the termination of just two taxes that primarily target upper-income households.” Under the AHCA, in other words, the rich would receive a tax cut of almost $300 billion. And how do Republicans pay for this tax windfall? By making large cuts to Medicaid. After 2020, the AHCA would turn the health care program into a series of “block grants.” Instead of paying a set percentage of medical costs, the new system would give states a flat per-person payment, with substantial reductions for those states that expanded Medicaid under the Affordable Care Act. The chief outcome of this would be to reduce overall Medicaid payments as well as the number of people who receive care under the program. Under the AHCA, low-income Americans will lose coverage so high-income Americans can have lower tax bills. The damage to low-income and working Americans goes beyond the cuts to Medicaid. With Obamacare, Democrats pegged health insurance subsidies to income and tied them to the overall cost of health insurance in a given market. This was cause for anti-Obamacare frustration as the limit for subsidies was kept low to reduce the price tag—at the cost of keeping coverage out of reach for millions of Americans. Still, low-income people in high-cost markets received larger subsidies than those in low-cost markets, which makes some sense. Republicans, by contrast, have both slashed the pool of funds for subsidies (again, to pay for tax cuts) and pegged them to age. Americans under 30 receive a $2,000 credit for insurance, while Americans over 60 receive a $4,000 credit (those between receive credits of $3,000 or $3,500). There’s a modest adjustment for income, such that a 60-year-old making $75,000 will receive a full credit under the AHCA versus nothing under the ACA. This sounds generous, until you realize two things: First, that Republicans will also allow insurers to charge the oldest Americans five times more than the youngest Americans (thus erasing the impact of higher benefits for wealthier ones), and second, that the subsidies are the same for everyone, irrespective of the market. For example, a 60-year-old making $30,000 in Luzerne County, Pennsylvania—which flipped from an Obama County to a Trump county in the 2016 election—received $9,610 in subsidies under the ACA, according to the Kaiser Family Foundation. Under the GOP bill, that would shrink by 58 percent to $4,000. For them, as well as younger Americans who also receive more generous benefits under Obamacare, the AHCA represents a significant to massive reduction in benefits. The AHCA thus reflects the prevailing conservative view that health care is an individual responsibility, not a collective one. As long as you have the ability to choose your insurance, then the government has fulfilled its obligation. If you can’t afford what you choose, then that’s because you haven’t taken control of your life. 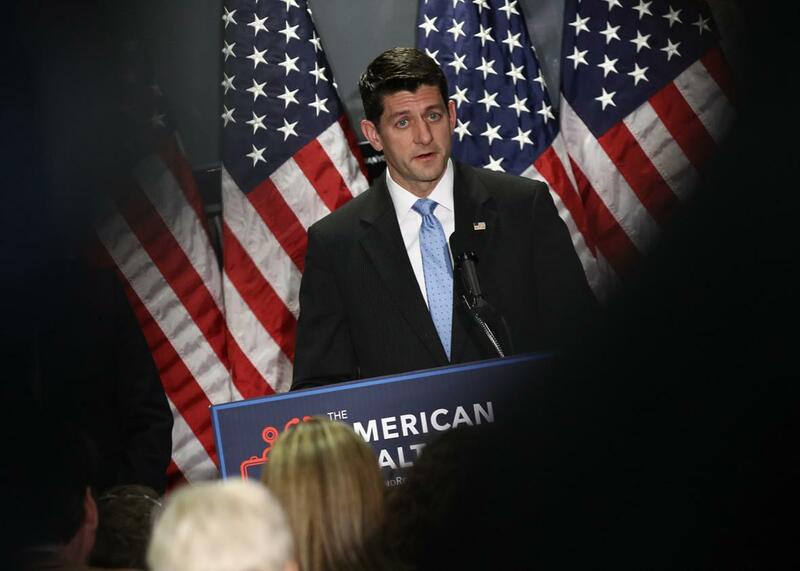 The aforementioned damage to American health care outcomes is why both the American Medical Association and the American Hospital Association—major advocacy groups for doctors and hospitals, respectively—have come out against the House GOP’s bill. Whether or not Republicans thought about the practical consequences of their chosen policies, they should have been able to predict the political consequences. There’s a reason health reform efforts nearly derailed the presidencies of Bill Clinton and Barack Obama. Tens of millions of people—from those with insurance to those in the industry itself—have a vested interest in the status quo of American health care. To overcome that interest, you need to build and cultivate relationships among those stakeholders as well as craft policies that work. This, to make an understatement, is difficult. House Republicans worked on the American Health Care Act for less than two months. It took more than a year, from President Obama’s announcement that he would pursue health reform in February 2009 to its signing in March 2010—for the Patient Protection and Affordable Care Act to become a reality—a “big f***ing deal,” in the words of then–Vice President Joe Biden. If you include the time before Obama’s election—when interest groups, lawmakers, and liberal wonks worked toward consensus on health care reform—then Obamacare took years to bring from conception to fruition. At no point of the process was Obama’s health reform an easy lift. Despite large majorities in both chambers of Congress, the White House and its allies had to herd, cajole, and accommodate lawmakers from across the political and ideological spectrum. To preserve and achieve broad goals, Obama cut unsavory deals with reticent Democrats like then–Nebraska Sen. Ben Nelson and gave wide berth to nearly antagonist lawmakers like then–Connecticut Sen. Joe Lieberman. Even then, even after endless rounds of bargaining and infighting, it took an almost Herculean effort to pass the bill and bring it to the president’s desk. And what did Democrats get in return for passing the largest piece of social legislation since the Great Society, one that eventually brought health insurance to millions of Americans? A complete electoral wipeout: a historic loss in the House of Representatives that stymied their agenda for the rest of Obama’s presidency. Republicans had years to build an actual coalition for repeal and replace. But they never did the work. Now, they face of the pressure of their promises and an angry base, revved up on endless (and often baseless) attacks on the law. That absence of allies is why the AHCA faces opposition on all sides, from Democrats and industry stakeholders to conservative activists, right-wing lawmakers, and nervous Republicans unwilling to back a package that throws their constituents to the winds. A majority of voters, likewise, opposes full repeal. President Trump has endorsed the bill, even as it makes a mockery of his promises, but has yet to saddle up as an advocate. Which is to say that even the White House is treading carefully. It is too early to make a firm prediction about what will happen to the American Health Care Act. But it’s fair to say its rollout has been a disaster, one that might sink the ship of “repeal and replace”—and tarnish its captain, House Speaker Paul Ryan—before it ever leaves port.